So Long, Farewell, Auf Wiedersehen, Good Night Mortgage! Recently ALI held a very, very special celebration in our Community Outreach Center upstairs from the thrift shop. Yes, shoppers and readers, we’ve done it! We’ve burned our mortgage! Let’s go back in time a few years, and we’ll explain how we fulfilled this dream of every Irvine property owner. Many of you may remember our original thrift shop on Main Street, near John Wayne Airport. We had a vision of buying a property, where we would have room to host our Operation School Bell clients, provide additional resources to the community, and house our thrift shop. We started a Capital Campaign, and the City of Irvine helped by awarding us a Community Development Block Grant. And in July 2009, we were able to purchase our business condominium unit at 2452 Alton! We made a down payment and took out a 10-year mortgage with a balloon payment due in July, 2019 (typical for commercial real estate loans). Our new location was an immediate success, and soon our thrift shop was bringing in enough money for us to expand our philanthropic programs AND have extra cash. Our far-sighted finance director, Penny Bolton, pointed out that if we made additional payments on our mortgage, we’d be able to pay off the loan earlier than 2019, plus saving a lot on interest. A lower mortgage – or no mortgage – down the road would give us even more money to give back to the community. A win-win! Our “Free ALI” fund-raising campaign was born! Janet Lisle (long-time member and past president of ALI) and her husband, Phil, made a generous donation of seed money, matched by donations from our members, to start off the “Free ALI” campaign. And with hard work from all our members, plus the continued support of OUR THRIFT SHOP CUSTOMERS, we chipped away at that mortgage balance. Then last summer, we received an amazing, if bittersweet, bequest from the estate of another long-time member, Hedy Mulhausen. Hedy’s gift enabled us to pay off the rest of the mortgage in full in September, 2013 – just four years after we took out the loan! 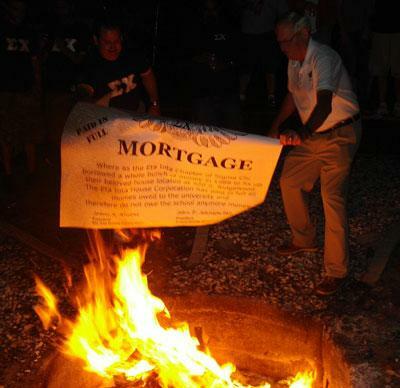 We didn’t ACTUALLY burn the mortgage last week, because that would have set off the fire alarm and the sprinklers – but we burned it in spirit! Many who have shared this journey with us, were there to help us celebrate this momentous occasion – Irvine Mayor Steven Choi, City Council Member Beth Krom, City Manager Sean Joyce, and Jerome Carrasco, Greg Smith, Fawn Tanriverdi, and Margie Wakeham from our Community Advisory Council. So if you notice extra-wide smiles on the faces of the ALI members the next time you’re at the shop or one of our events, it’s because the mortgage is gone – and we’re SMILING all the way to the bank! We need your help! ONLY YOU can do this & make a difference! 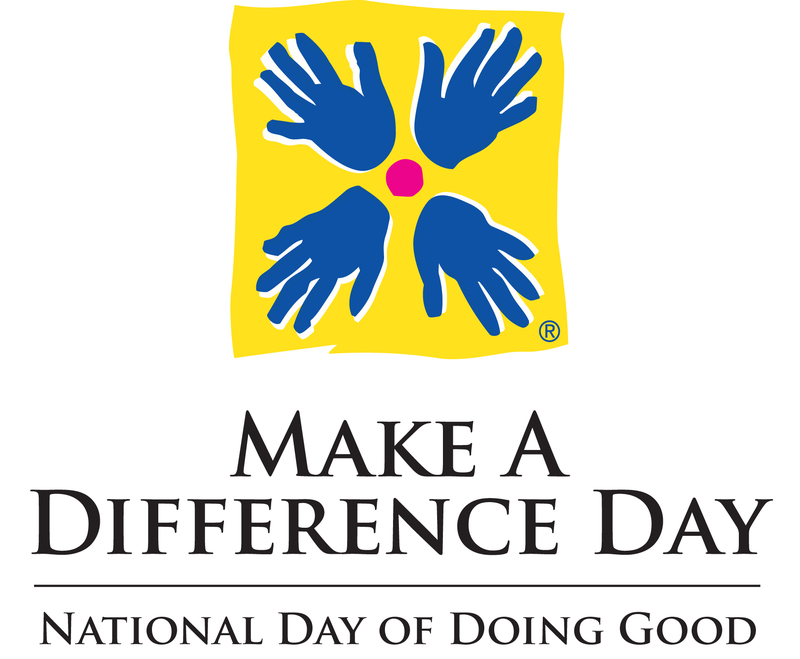 Vote for Assistance League – Make A Difference Day All-Star Award 2014! We were selected because of our national 2013 Children’s Book Drive, in which 93 Assistance League chapters, including Assistance League of Irvine, collected 103,000 books for children in schools, foster programs, and shelters. That’s an average of 1,100 books per participating chapter! We thank all of you who donated books to us for this book drive and helped make it such a success. NOW we’re asking all of you to VOTE for us, to help National Assistance League win the All-Star prize! You can vote for us at: http://makeadifferenceday.com/vote-now. Voting is open from now until March 4, and is limited to ONE VOTE PER DAY. As they used to say in the old days, vote early and often (i.e. daily). Help Assistance League win the All-Star prize! 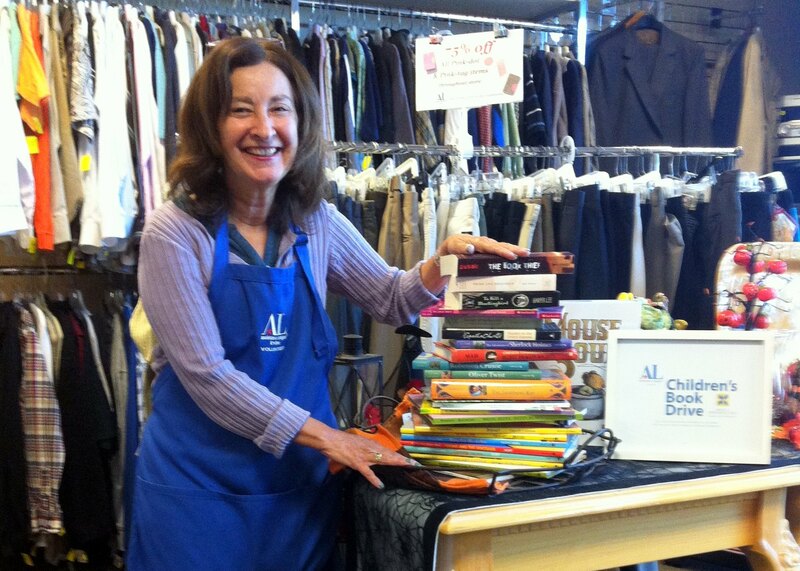 All the people you see at the Assistance League of Irvine thrift shop in the blue aprons are VOLUNTEERS. Most of us had never worked in a store until we joined ALI. But now we’re working at the best store in Irvine! So the next time you visit us, say hello to your ALI volunteers, because we LOVE to have you shopping with us!